A City Council decision last August to make parks and recreation areas smoke-free has improved Bell Gardens’ grade in the American Lung Association State of Tobacco Control 2018 report released Wednesday. The city still has a way to go though before it earns an A grade, according to Michael Olivares, advocacy manager for the American Lung Association in California. According to the report, California leads the nation in its tobacco control policies, but in a community-by-community breakdown, Los Angeles and Long Beach only get Cs. California’s grades improved to become the best in the nation thanks to strong policies across the state and the enactment of the new tobacco tax increase approved by voters, the association said in a statement. “This year, California began reaping the financial and health benefits of an increased tobacco tax,” said Mark Johnson, Board Chair for the American Lung Association in California. The hundreds of millions in increased tobacco taxes from Proposition 56 now flowing to critical state health and prevention programs lead to a big grade increase for California, the report stated. The state received an A grade for funding for state tobacco prevention programs, up from an F in 2016. California’s grade for smoking cessation services also improved from an F to a C.
– Funding for State Tobacco Prevention Programs — A, up from an F in 2016. – Smokefree Air Policies — A. – Level of Tobacco Taxes — B. – Minimum Age of Sale for Tobacco Products to 21 – B. – Coverage and Access to Services to Quit Tobacco – C up from an F in 2017. In conjunction with the national report, the American Lung Association in California released its companion State of Tobacco Control 2018, which issues grades for all 482 cities and 58 counties in California on local tobacco control policies. According to that report, a record number of 10 communities improved their overall grade to an A, and California now has 31 communities with an overall A grade. Additionally, 17 fewer communities received an overall F grade compared to last year. Cities like Laguna Beach in Orange County and Bell Gardens and Bell in Los Angeles County passed smokefree policies that will improve public health, the report found. 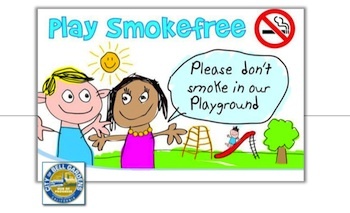 “Both Bell and Bell Gardens moved pretty quickly with their own versions of a smokefree outdoor air policy,” Olivarez told EGP in an email. “Though we did our best to familiarize the cities with the grading and the SOTC report in general, they decided on including (or not including) smokefree dining (restaurant patios), Sidewalks or Service Areas in the final policy,” he said, explaining why the Bell Garden’s overall’s grade had only gone from an F to a D.
Bell, on the other hand, decided to include all those areas and that’s why they earned an A, Olivarez said. “Bell Gardens did get more points for Recreation Areas due to going 100% smokefree instead of including designated smoking areas,” he added. “With the great participation of Bell Gardens community members, I have a feeling Bell Gardens will be doing more soon with regards to secondhand smoke,” Olivarez told EGP. The report found that despite all these successes, half of California’s population still lives in communities scoring a D or F. This includes nearly half of the 10 most populous cities in the state, including Anaheim. “Los Angeles and Long Beach remain in the middle of the pack with C grades,” the report said. “Smoking rates continue to decline in California, yet tobacco use remains the state’ leading cause of preventable death and disease, killing nearly 40,000 Californians each year,” said Vanessa Marvin, a vice president at the American Lung Association in California. EGP Managing Editor Gloria Alvarez contributed to this article.